Searching difficulty: Finding the monument is very easy. It is noticeable from a distance and the signposts direct to there. Uniejów is a comparatively well-known place on the border of the Łódz and Greater Poland Provinces. If you enter the town from the south, down the road no 72 from Poddębice, you need to, all the time down that road, head for Turek and after crossing the bridge over the Warta River turn right. At that place there is a gateway to the castle. 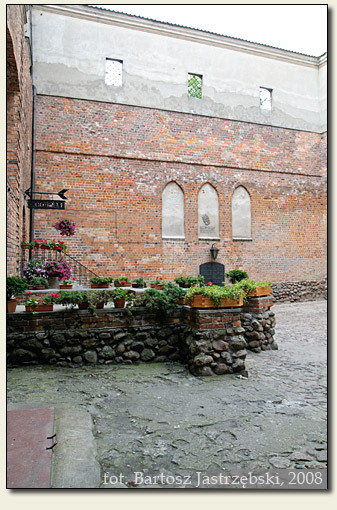 Although the castle of the archbishops of Gniezno in Uniejów has a comprehensive literature, an exact date of its building is unknown. The first information about the stronghold appeared in 1339 in the description of the destructions, which the Teutonic knights made in 1331. 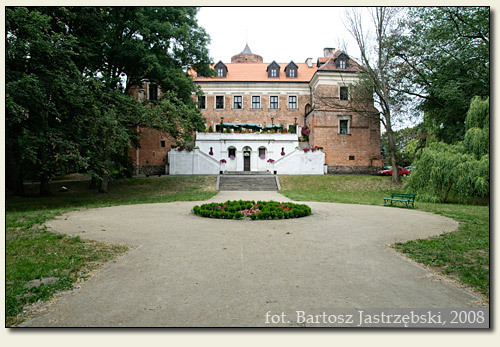 However, both Jan Długosz and latter sources attribute the construction of the castle to the archbishop Jarosław Bogoria Skotnicki and locate it somewhere round 1350. 31 years later the stronghold was conquered and looted by Bernard from Grabów, and next the process of reconstructions and destructions began. More or less in the middle of the XVth cent. 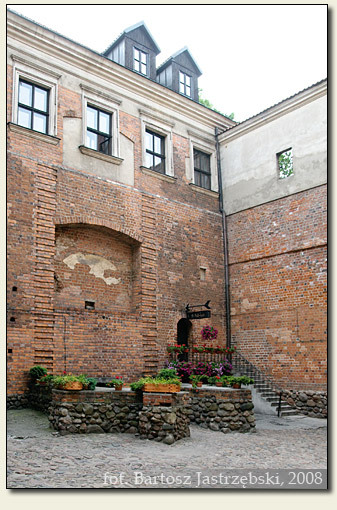 the castle was built up, and in 1492 was captured again. 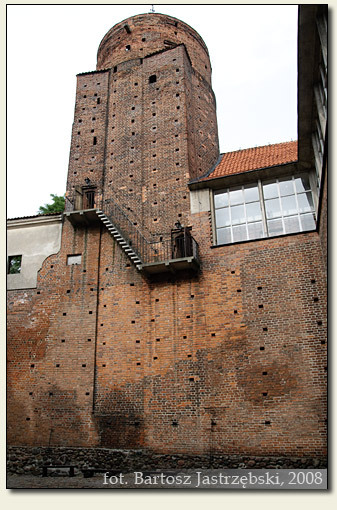 In 1525 the castle burnt down, but already in 1534 was restored. The following reconstructions were held in 1638, 1645 and the XVIIIth cent. In the same century, after a secularization of church possessions, the castle was nearly entirely deserted. Nonetheless already in 1836 a tsarist authority gave it as a present to Aleksander Toll in exchange for his merits. The Toll family resided there until the World War I and performed the next construction works. 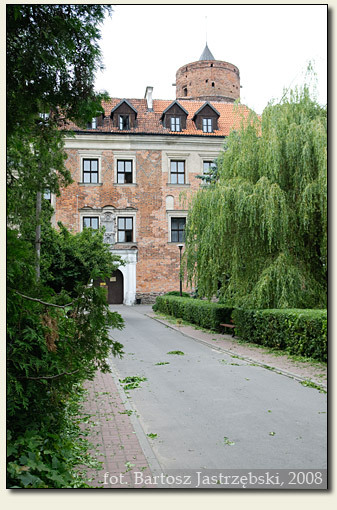 In the Interwar period the building housed a boarding house, while after the World War II, a destroyed castle, was rebuilt in the years of 1956-1967. Since that time it houses a hotel and a restaurant.